When its a board as affordable as Redder it’s either a bargain or it’s got some faults. I took the 10’6” Redder Vortex out and put it through the test. There were some things I noticed immediately and also things that surprised me! Seeing as I recently finished off the “best boards under $500” on here, it was great to have something to compare it to. I have referenced the performance/material quality etc. in accordance to the other SUP’s I’ve reviewed that are a similar price. Performance testing is started from the takeoff and ends at the dismount. Though, I was a little put off straight away as I found the board very hard to carry. The handle isn’t big enough to get a proper grip and also cuts into your hand quite badly. So, I was a little skeptical about how the ride was going to go. Aside from the Redder Vortex being a bit slow, it handles okay. I did find it to be quite stable and I managed to track easy enough to my destination on the other side of the massive lake on Stradbroke Island, QLD. We popped two of us on there and paddled around and found it to hold our weight reasonably but did make it harder to control and paddle. The control was a problem because I lost half my afternoon beer overboard! Turning the board, I found it to be a bit sluggish and unresponsive. 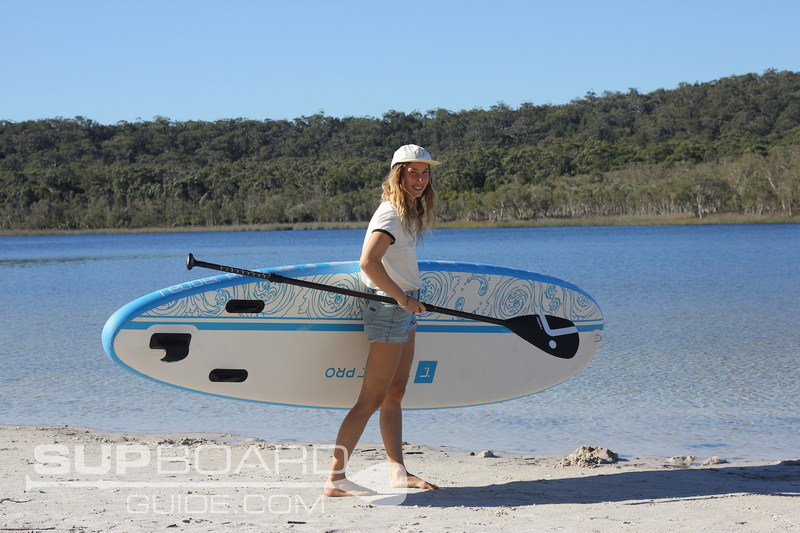 This, of course, is all in comparison to the most recent budget board I review the Gili Air. For a board that is selling in the same price bracket, I did find the performance of the Gili to be much better. 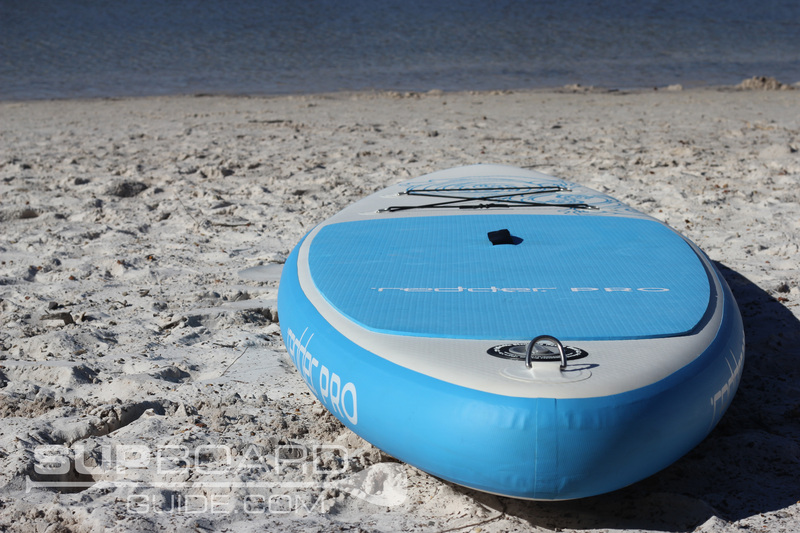 I did notice its shape is similar to what you would expect from a surf SUP. 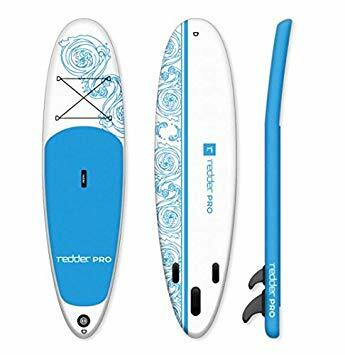 There’s a pulled in tail for tight turning and wide nose for catching waves easy, though, with the size of this board, I would expect there to be a little more rocker in the nose to help prevent nose diving. It also helps combat chop and wind on lakes and rivers too. Although I haven’t tested this board out in the surf, I don’t think it would be a very easy board to control outside of small waves that break easy and long. Encasing the drop stitch core is a dual layer of PVC. Dual-layering is the most cost-efficient way of making a board light. However, the payoff is the durability as well as rigidness, especially for the bigger rider. Though at this price range you can’t be expecting much more and many other SUP’s that cost similar are only single layer. Though I felt no flex (I’m 55kg), I believe you would feel this flex if you’re a bigger rider. I definitely felt it with two of us on there but our combined weight was above the recommended max capacity, so I can’t really complain! Keeping you on top of the board is a reasonable deck pad. It’s nowhere near as comfortable as the more popular diamond groove pads nor as grippy as the crocodile skin. However, It serves its purposes well enough and covers a good chunk of the board. 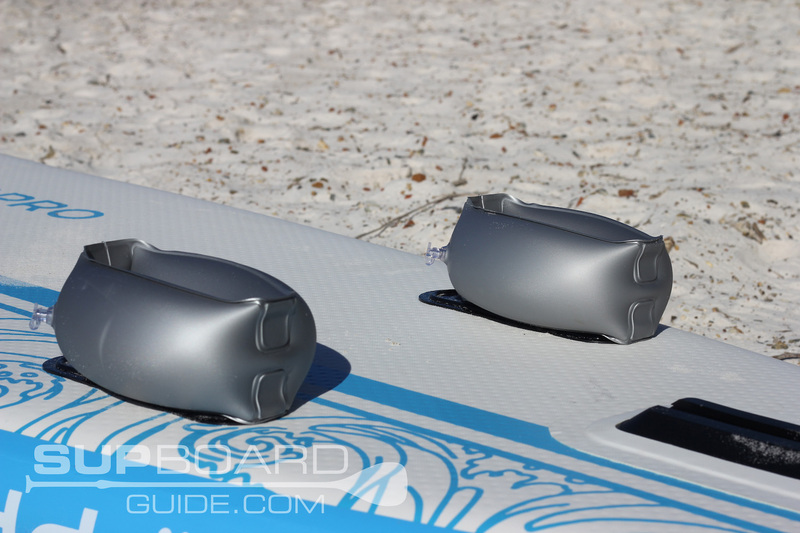 Guiding you through the water is the removable 8” center fin. It’s a slide in fin which is easy to insert/pull out again. It’s quality and shape, however, is low. Though this isn’t uncommon for a budget board, not much sense spending extra money on decent fins if you are producing a lower quality board. The side fins are fixed and seem tough enough to handle a bit of a beating. 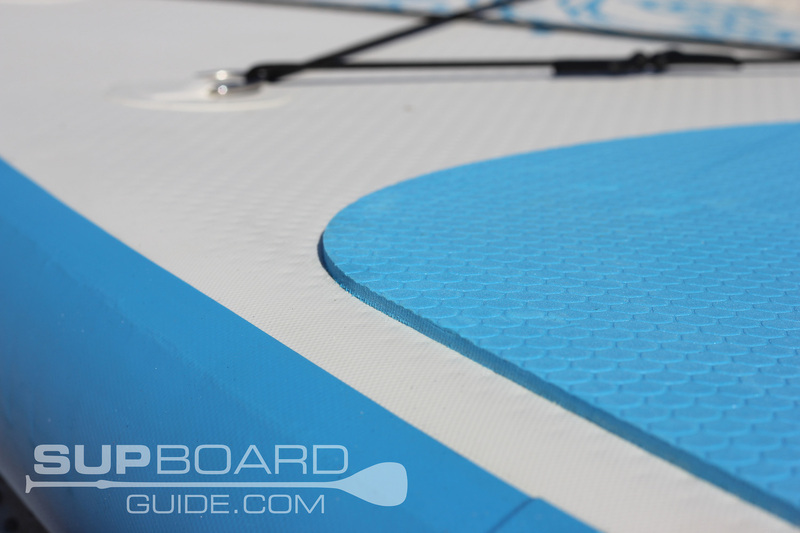 When you are storing your board, you can also use the fin protectors come arm floaty looking things which are included in the package. Inflating did take a while, and I was happy that I had my compressor the second time I tested the board out. The pump included is reasonable, a dual action Bravo 4 like the Gili but the connection was loose. Didn’t matter how many times I tried a different angle, speed, did a backflip first or whispered sweet nothings, it just didn’t feel like it was properly on. It left me feeling like some of my efforts were going to waste. This was much more to do with the valve than the pump I suspect. Deflate was a simple process though with the pin easily pushed in and locked off to help continue deflating as I rolled the board up. *Note* The strap used to hold the board together is pretty bad. It’s more or less some ribbon with a buckle. I would get a backup! 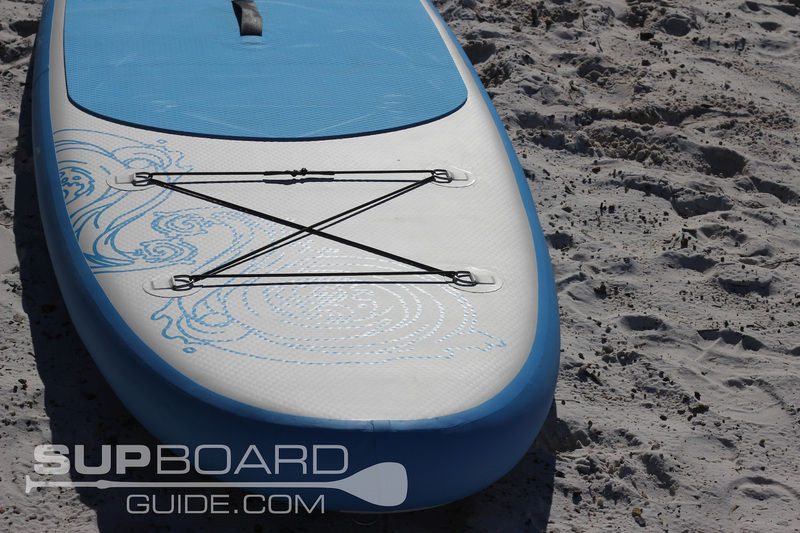 A pretty cool print can be found on the board and paddle. A tribal looking wave design. Sometimes these tribal prints can look pretty tacky. But I think they’ve actually done a great job at blending it in with the colors as well as the actual print is quite clean. Keeping it simple with the blues and whites, I would rate the aesthetics quite highly! The shape of the Redder Vortex PRO is inspired from the surf. With a wide nose for easy catching of waves and a pulled in tail for tight turns. The let down though is the thickness of this board, little to no rocker and it being prone to flex. Basically, It’s not a great surf SUP. One of the biggest faults on the board which in my opinion is a MAJOR letdown is the handle. I could hardly carry the board. The handle was sewn so close to the board I had a hard time getting my hand under it for a proper grip as well as the materials cutting into my hand quite badly. On the nose, you can find 4 D-rings with bungee to store a small amount of gear, enough room for a small bag with water and snacks. 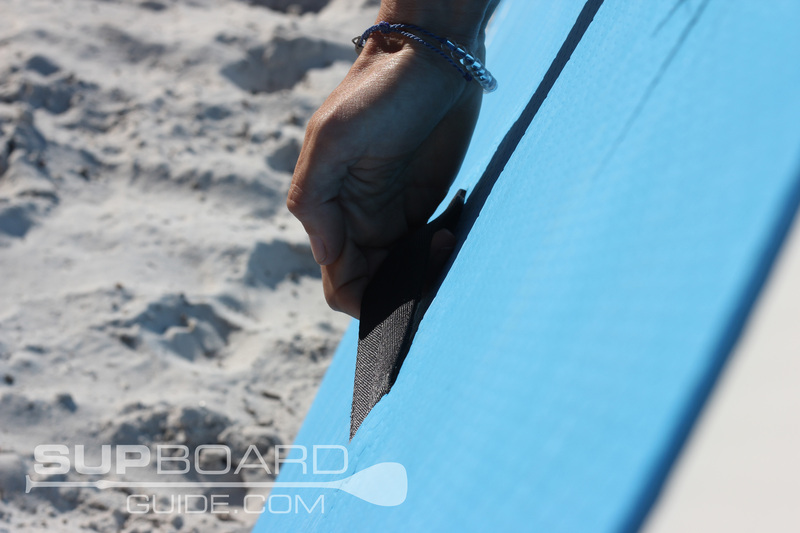 Further down you have one D-ring on the tail for the leash and under the nose another for towing/mooring your board. All the D-rings seem to be of a reasonable quality and the patches used to hold them in place looked to be flush at the seams. 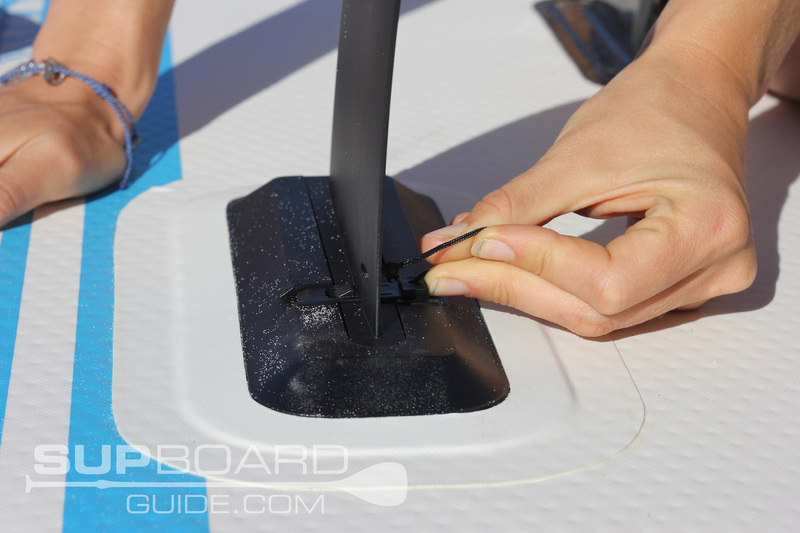 Pulling apart into 3 pieces is your carbon fiber paddle. I do love the look of this paddle, it appears to have the same shaft as the Blackfin carbon paddles. Though the Blackfin locking system is a little different. It’s quite suave. The blade also as I mentioned in the board design has a cool print. It was great having a lightweight paddle, but there were a few features about the rest of it that kind of took away from that positive. One was the adjoining parts. It had a weird double lock point for the paddle, which at first I thought was for extra security but the clasp literally does nothing. The clasp further up also was unstable and didn’t feel to close properly. Then I found the hand grip quite uncomfortable, it’s fine for a short play paddle but not if you want to spend more than a half hour on the water. To me, it makes sense to spend money on those smaller details and has a slightly heavier paddle. To get your board inflated is a Bravo 4 dual action hand pump. It’s got an integrated pressure reader on top and a plug to put in/pull out for switching between actions. A single action pressure is easier but takes longer, dual action harder but does twice the amount of inflating. Switch between the two as you feel you need to! It is nice to receive the full package, many brands don’t include leashes. While this feels a bit on the cheaper side to say some of the iRocker cuffs and rope, it will at least save you from losing your board forever in turbulent waters. Here it would be nice to see some improvements. Again, for the same price as the Gili, the accessories don’t match up. I wasn’t expecting something like the Blackfin or Red Paddle Co bags so I won’t compare it to them. The sides are mesh which is nice for breathability, but I’m not sure if that affects the support or if it’s just the poorly designed straps. There isn’t much padding so you won’t be wanting to carry the bag for too long. Though I did like how easy it was to get everything in and out, loads of room! Exactly what you expect here! The standard valve tool and patches. So here at Supboardguide, we try to be honest but still considerate of every type of buyer. Some people don’t want to or can’t spend the money on what we would consider the best. Which is why we put together our “5 Budget SUP’s” article. So, most of the comparing and opinions voice about the Redder are in accordance to what we researched in that article as it falls into that price range. The Redder Vortex PRO is a board that looks nice but unfortunately when put up against something that costs the same thing like the Gili, I can’t say it’s going to be your best buy. 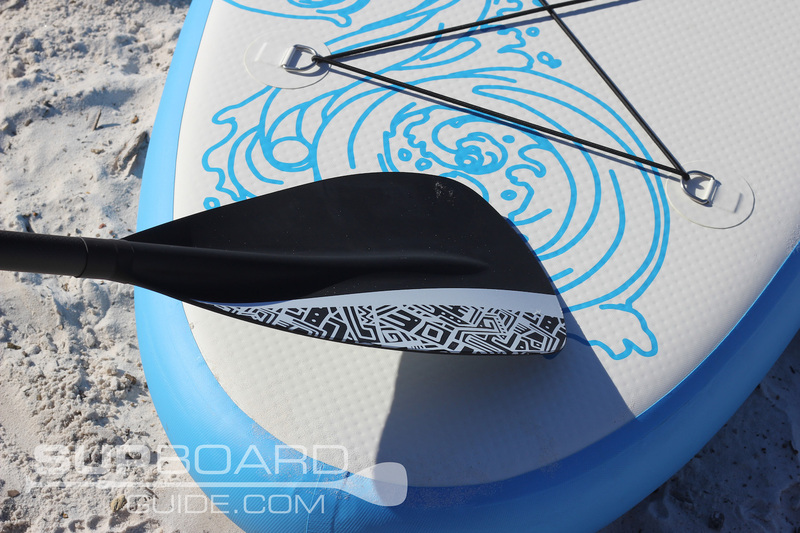 It has a few perks like carbon fiber paddle, but other features bring it down. 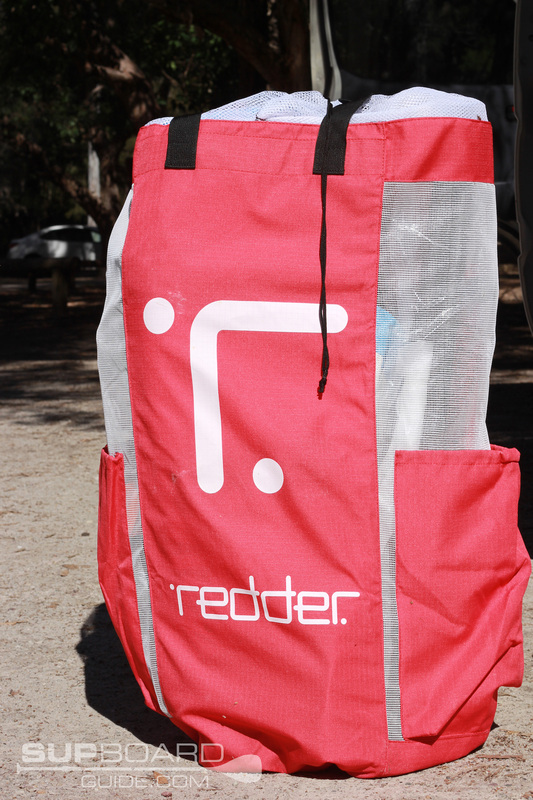 If there is another reason you are set on buying the Redder, perhaps the shipping is better for you, then I would suggest using it as a river/lake cruiser over surfing options. As a tender, backup board for kids/guests, it will serve you great!